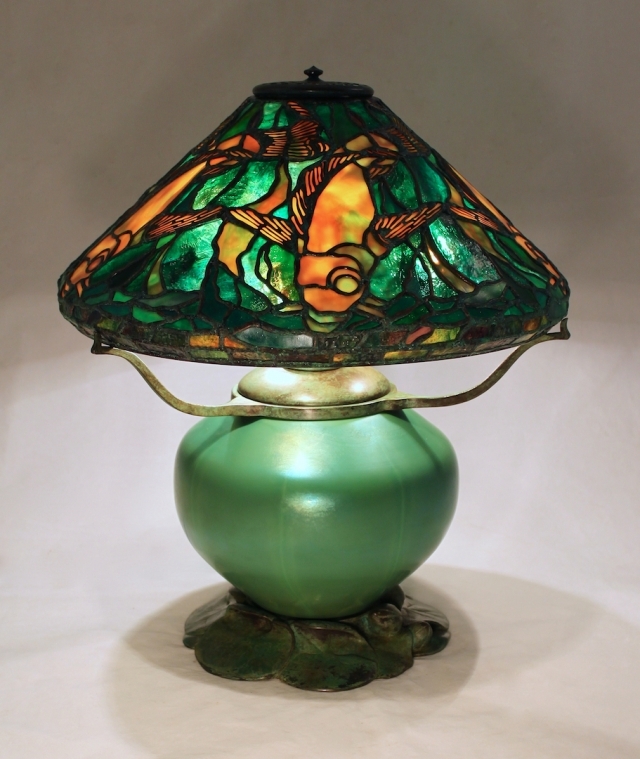 The 16″ Fish is one of Tiffany Studios’ more unusual pond theme shade motifs. The shade features five elongated Koi gently gliding across the surface of the shade amid water plants. This example, created in 2015 for an out of state client, used a lightly textured glass for the water and the vivid coloration of the Koi is reflected in the floating plant life. The shade is shown on the striking Lily Pad – Blown Glass and Bronze base.